Applying Social Media Technologies in Healthcare Environments provides an indispensable overview of successful use of the latest innovations in the healthcare provider-patient relationship. As professionals realize that success in the business of healthcare requires incorporation of the tools of social media into all aspects of their worlds and recognize the value offered by the numerous media channels, this compendium of case studies from various voices in the field-caregivers, administrators, marketers, patients, lawyers, clinicians, and healthcare information specialists-will serve as a valuable resource for novices as well as experienced communicators. 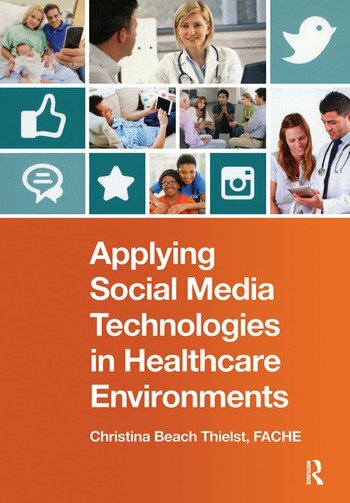 Written by experienced players in the healthcare social media space and edited with the eye of an administrator, chapters provide insight into the motivation, planning, execution, and evaluation of a range of innovative social media activities. Complete with checklists, tips, and screenshots that demonstrate proven application of various social channels in a range of situations, this will be a valuable tool to maximize opportunities in meeting the challenges of new healthcare demands.